"When I write, I am essentially talking to myself," said acclaimed experimental playwright, Richard Foreman, in an interview with Charles Ruas, in 1975. During their discussion, Foreman goes on to explain his creative process', and insights into his interest in concepts surrounding consciousness. Simultaneous to their discussion, segments of the playwright's current production, Pandering to the Masses; a Misrepresentation, are broadcasts. While this play is in fact new to the actors and viewers, Foreman admits that the piece itself is simply a continuation of his previous works. While the characters roles shift in and out of prominence throughout his body of work, they manifest a single thought; that they aren't characters. Rather the people that dictate the narrative of his plays are simply names; faceless beings that use their names as masks that represent something else. 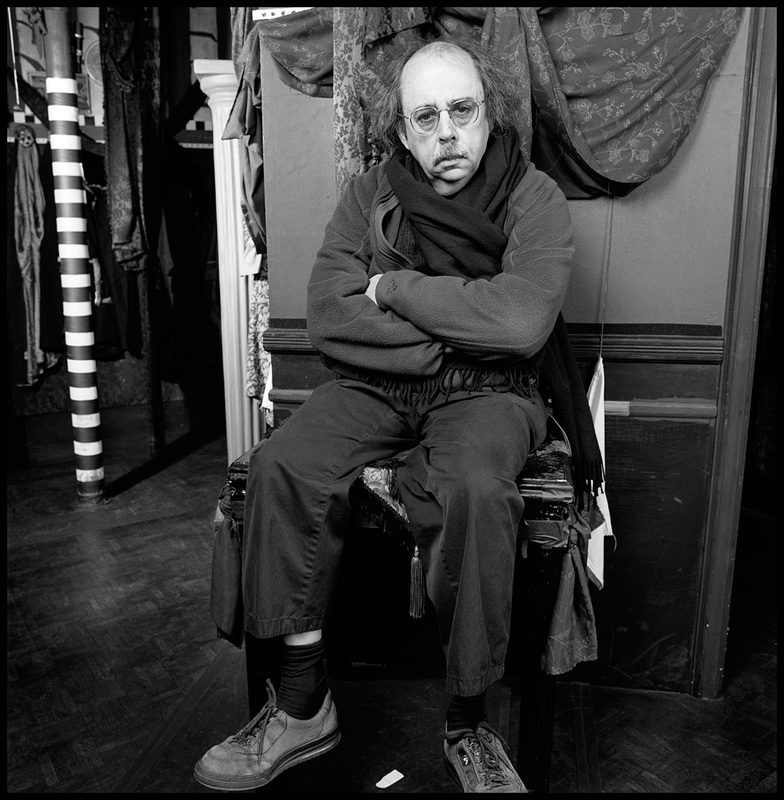 American avant-garde theater pioneer,Richard Foreman (b. 1937), founded the Ontological-Hysteric Theater in 1968, a project which has since been co-produced by such organizations as The New York Shakespeare Festival, La Mama, The Wooster Group and the Festival d'Autumn in Paris and the Vienna Festival. The theater is currently located in New York City's St. Mark's Church, off the Bowery. Foreman has received the annual Literature award from the American Academy and Institute of Arts and Letters, a "Lifetime Achievement in the Theater" award from the National Endowment for the Arts, the PEN Club Master American Dramatist Award, a MacArthur "Genius" Fellowship, and in 2004 was elected officer of the Order of Arts and Letters of France.